Readers, today I've conquered another “first time”. I made jam. Both my grannies and my mum all appear to have the jam making gene, so I decided to give it a go. We do have a big old fashioned jam pan at my parents’ house, but today, for speed, I made mine in the biggest heaviest bottomed pot I could find in our kitchen. Now, if we are splitting hairs, I technically made a high fruit, low sugar spread today. Slightly more like a compote due to the fruit content, but I've managed to get a good set from it – so more jam like than first anticipated. I would say that it wasn't too bad for a first attempt – I had a little trouble working out when it was ready. The recipe said to wait until it sat on a mound on a saucer, but I did get to the point that I could feel it starting to burn on the bottom, so had to get it off and filled fairly quickly. This is the original recipe which I used. The only difference I made was sterilising my jars and lids in the oven at 140c for around an hour. 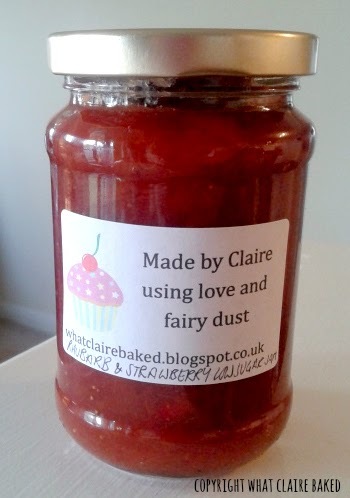 Mr WhatClaireBaked’s dad gave us lots of fresh rhubarb from his garden – this inspired me to give jam making a go for the first time. Here’s the original recipe and beautiful photography on the Kitchen Gourmet website. 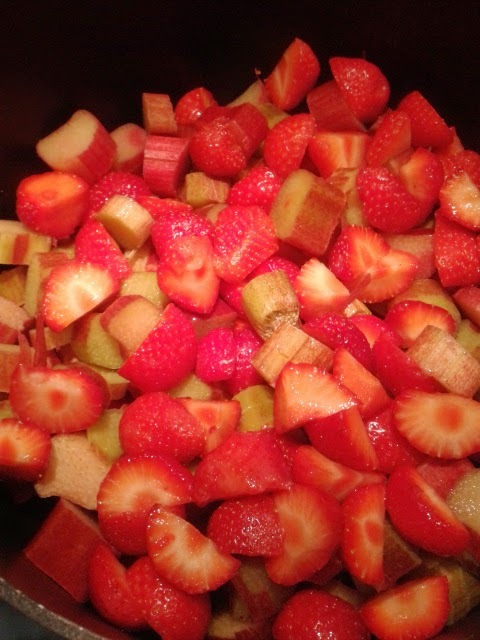 Place rhubarb, strawberries, water and sugar in a medium-sized pot set over medium heat. Cook, stirring often, until the juices are released and begin to cover the fruit. Pour the mixture through a fine mesh sieve to separate the fruit from the juices. Set the fruit aside. Return the juices to the pot and bring to a boil over medium-high heat. Allow to cook, stirring frequently, until reduced by approximately half (an easy way to check this is to use the handle of a wooden spoon. Dip it into the liquid to “stain” it. Then use that as a measuring guide for how much it’s cooking down). Skim off any foam that rises to the surface, as you go. Add the fruit back to the pot, along with any accumulated juices. Stir in lemon juice. Bring to a simmer and cook until a spoonful of the mixture mounds on a frozen plate without spreading. Once set, remove the pan from the heat. Carefully remove sterilised jars and lids from the oven. 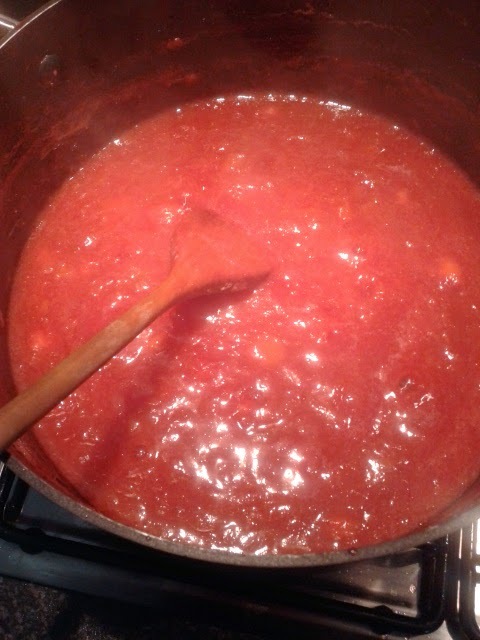 Whilst hot, fill the jam into the jars to around ¼ in from the top and screw the lids on immediately. Leave for 24 hours to cool and a vacuum seal will form. Jars can be stored either in the cupboard or fridge once open. I’d recommend consuming the jar within 28 days. Will let you know how long it lasts in ours! Likewise Alison - I've always stayed away from it. Turns out not that difficult. Sugar thermometer helps as well! 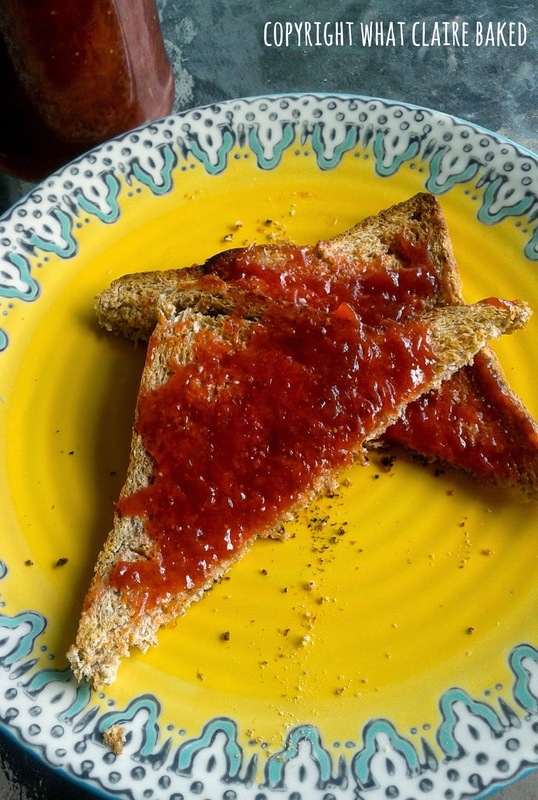 It's definitely worth a go - slightly different from a traditional British jam as we know it and a bit more tart as well, but the fruit flavours really shine through. 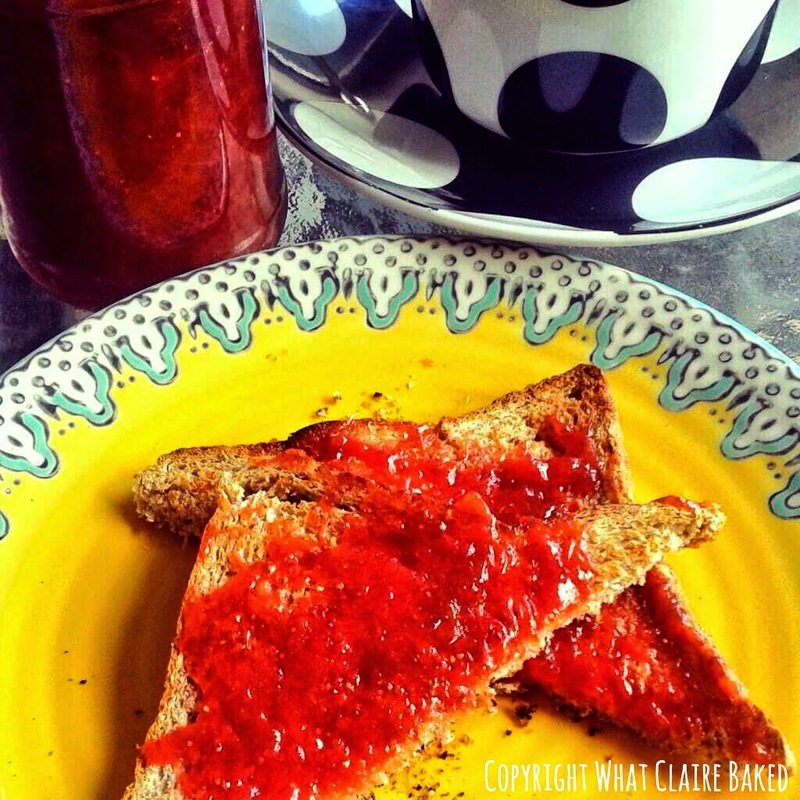 If you are a jam maker you should consider entering the World Jampionships - Google it!